Only in Utah can you find FIVE breathtaking National Parks!! Many call Utah the most beautiful state in the nation. It’s really hard to argue with that. Its vast canyons, flowing rivers, red rocks, arches, and vastly towering mountains will have your senses truly emerged in the beauty that is the State of Utah. 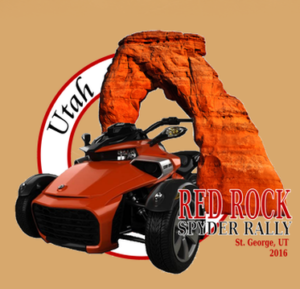 Below are just a few things that you can expect to see during your attendance of the Red Rock Spyder Rally, or on your way to or from the event. Links are located below the description for more information.